Saunas are much more than just a way to relax and soothe some aching muscles (though they’re great at both those things). Saunas are known to improve your physical and mental health, often in surprising ways. An ancient Finnish tradition, people have been having saunas for thousands of years. They started off simply as hot, smoky holes dug into the ground, where farmers would escape at the end of a long day alongside animal skins and fish they’d hung out to dry in the heat. Today, the sauna is a much more luxurious experience. They’re standard in high-end gyms and hotels, and businesses like Nordic create custom-built home saunas. It’s obvious those ancient Finns were on to something when they came up with the sauna, so what’s so special about them? A regular sauna gives you space away from the world to simply sit still and get away from it all. The sweat and heat mean you’re forced to focus on your body and clear your mind. That really helps reduce stress and can even relieve the symptoms of anxiety and depression. We don’t fully understand why, but the science is clear: saunas help lower your risk of a heart attack. This is probably because they’re such a powerful de-stressing tool. 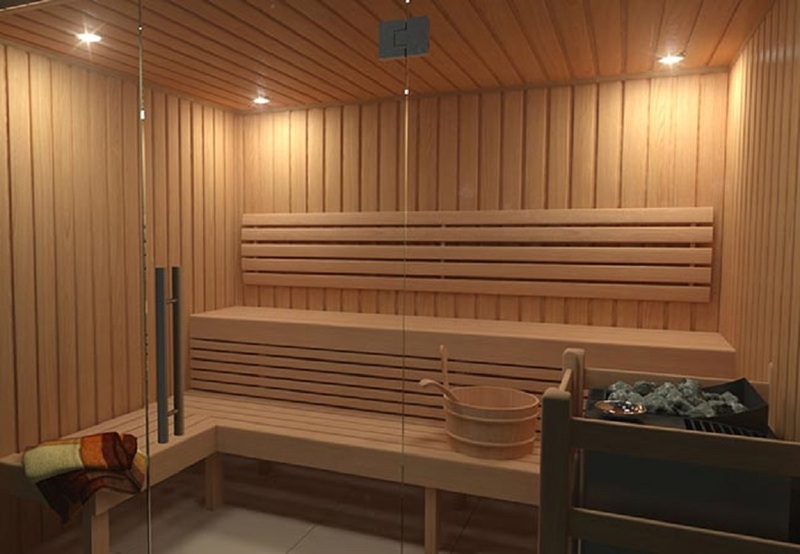 A study of Finnish men carried out over 20 years found that those who used a sauna four to seven times a week were up to 68% less likely to die of a heart attack than those who used a sauna just once a week. Saunas are great at helping relax your muscles and joints. That’s helpful if you’ve just had a long day working or running after the kids, but it’s even more beneficial if you love to exercise. Saunas are perfect for post-exercise recovery, and a regular post-gym sauna will often mean you’re able to exercise harder without suffering for it. Many asthmatics find that the dry heat of a sauna really helps their lungs feel clearer. Saunas induce a deep sweat that you just can’t get any other way. That means that all the damaging chemicals we all absorb every day, especially in polluted cities, get well and truly flushed out. If you feel a cold coming on, hit the sauna. The heat and sweat will help clear out your sinuses and relieve congestion, making you feel much better and even stopping your cold in its tracks. A Finnish study found that people who have saunas four to seven times a week were up to 65% less likely to get Alzheimer’s than those who only had a weekly sauna. More research is needed, but looks like there’s a link. Saunas are dry heat, so they can really help calm greasy skin and are a great treatment for psoriasis. One of the biggest pleasures of a night-time sauna is being able to fall into bed afterwards and sleep brilliantly, feeling relaxed, clean and de-stressed. And more sleep at night means better health and happier daytimes.